Bedbugs are one of the worst pests in developed countries like the United States because they are so hard to get rid of. In fact, treating a bed bug infestations can be costly, but if you have ever had one knows that it is worth every penny to get rid of the bedbugs. The best thing is to never get them in the first place and to have a bed bug monitoring system in place. The Mantis Pest Solution Bedbug Monitoring Program won’t just save you a headache if you ever get bedbugs but has bedbug removal guaranteed and any necessary bedbug treatment would be free. This program is increasingly important as bed bug infestations are on arise in Overland Park and surrounding areas as can be seen when the Shawnee library had to shut down for a few weeks due to bed bugs. Our Bedbug Monitoring program consists of these 5 easy steps. 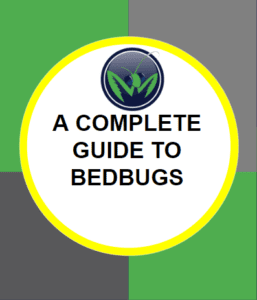 Whether you are part of the program or not we highly recommend you download our free guide to bed bug prevention. If you are part of our Lee’s Summit or Overland Park bed bug monitoring program your local bed bug expert will walk you through the guide, give you some extra bed bug prevention tips for your home. One of the hardest parts about bedbugs is identifying them. The pest pro will run a bed bug inspection to make sure there are not any bedbugs in the home and teach you how to identify bedbugs if you are worried they entered your home after a trip or any other reason. After educating and conducting a bedbug inspection the pest expert will strategically place bed bug traps in strategic areas around your home. These traps are kid and pet-friendly. Although they need to be changed regularly you won’t have to worry about it we will come and do that for you so they are always functioning. As mentioned earlier bed bug traps need to be rotated frequently. Our pests pros will not only check the bed bug traps when they come but will also switch them out as needed during your regular pest control treatments You can also feel free to ask any questions about bedbugs or other pests you might be worried about. Between each professional bed bug inspection, it is important that you regularly look at the bed bug devices. Early detection is key and if you see something in there at all give us a call and we will be out there as soon as possible to do a bed bug inspection and if bed bugs are found a free bed bug treatment. We hope through our bed bug monitoring you never find bedbugs in your home, but if you do we do a free conventional bedbug treatment. Not a lot of bedbug extermination companies offer this service for free and if they do that is where their guarantee will stop, but not with Mantis Pest Solutions. If your home is treated for bedbugs under our Bedbug monitoring program we give you a guide on what do after a bed bug treatment and an additional 6 months of bedbug monitoring for free. 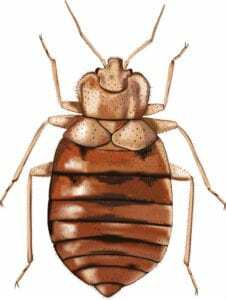 You can learn more about bedbug extermination in Overland Park here. What are you waiting for? Protect your home from bedbugs and see what other pests we can help prevent and exterminate by giving us a call or filling out the form below.